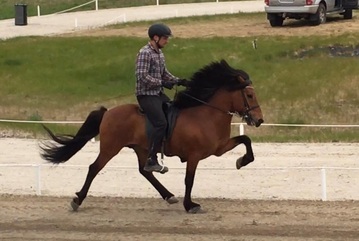 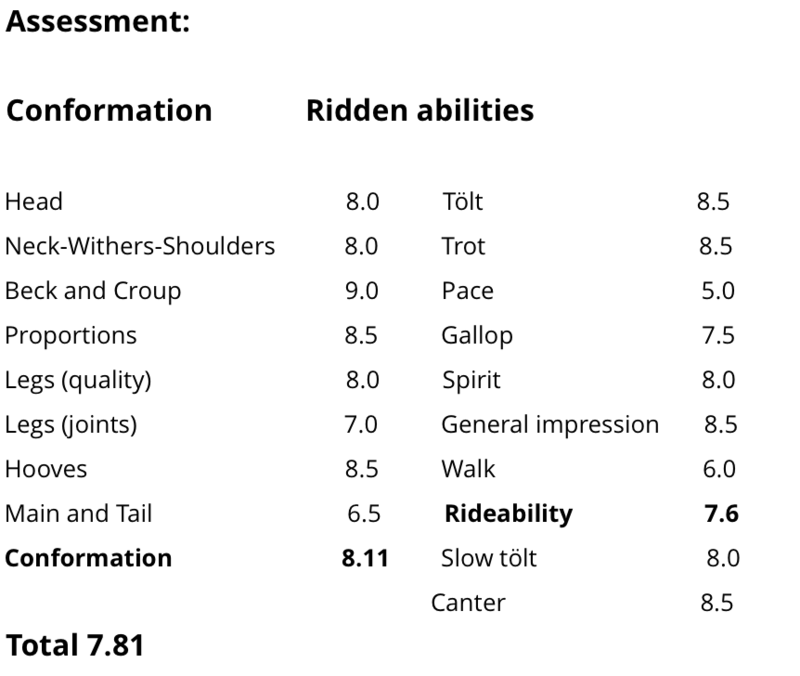 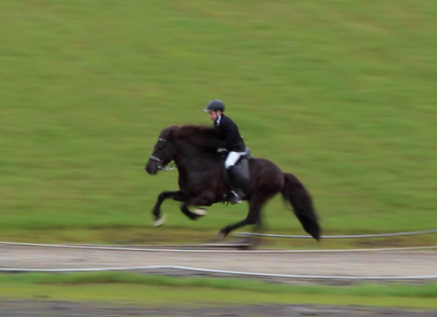 Very good four gaited competition horse with extremely good gaits and spirit. 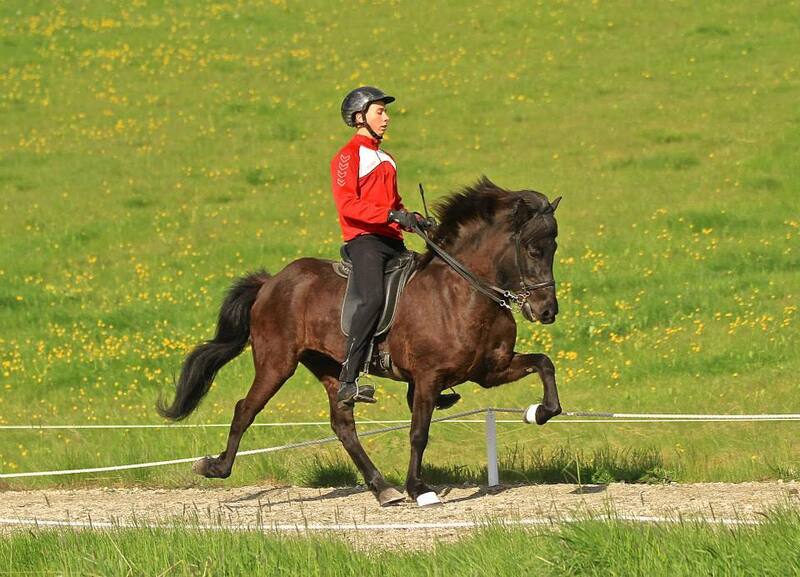 His offsprings are very promising, beautiful and talented. 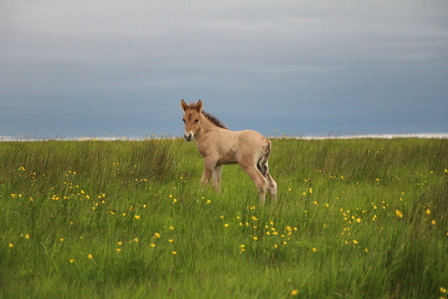 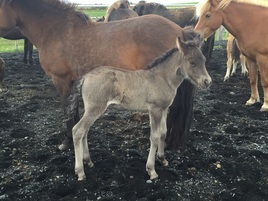 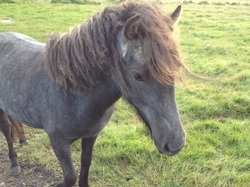 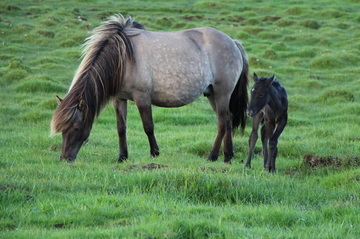 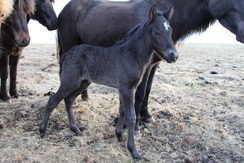 Flóki is son of Dynur frá Hvanmmi (8.47) and Björk frá Vindási. 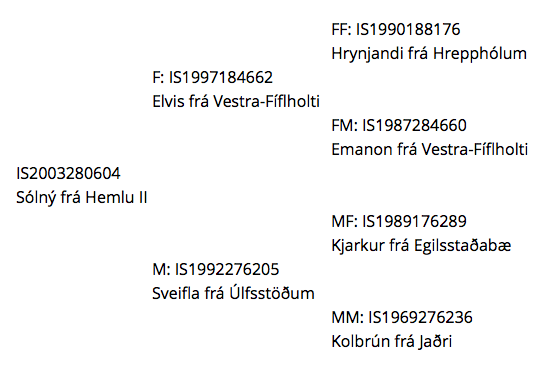 Orri frá Þúfu í Landeyj. 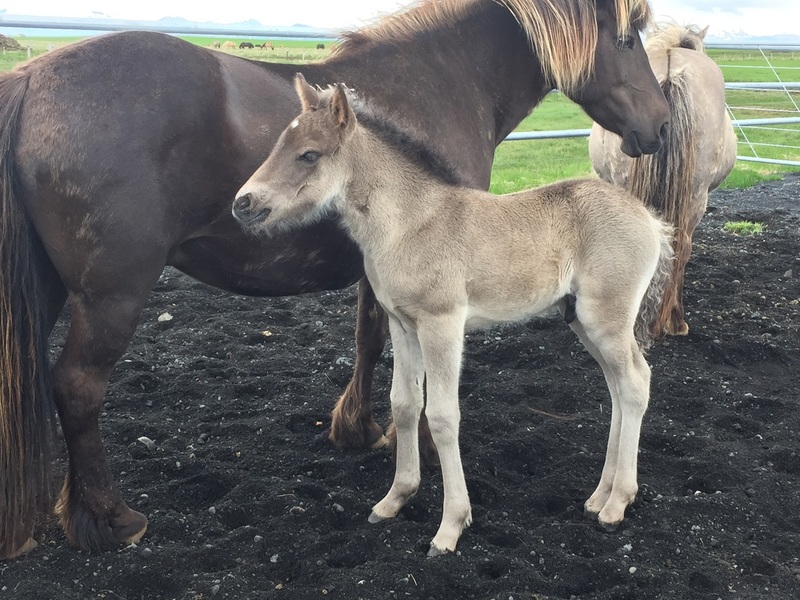 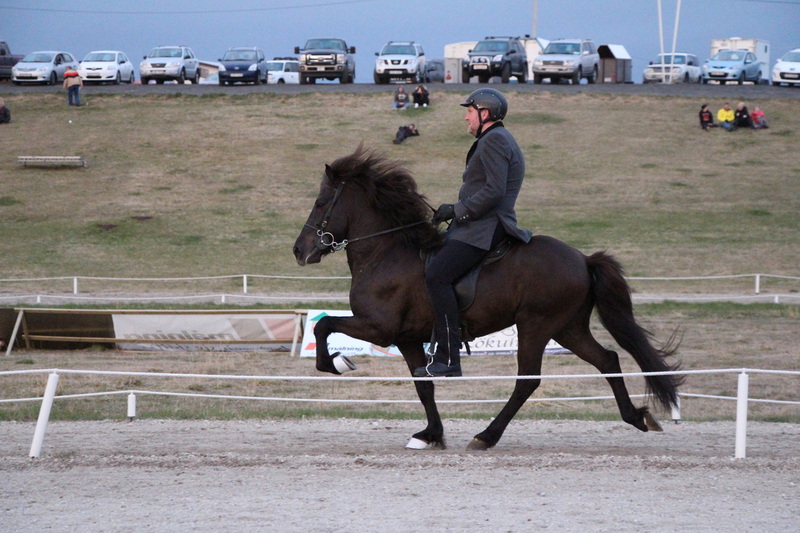 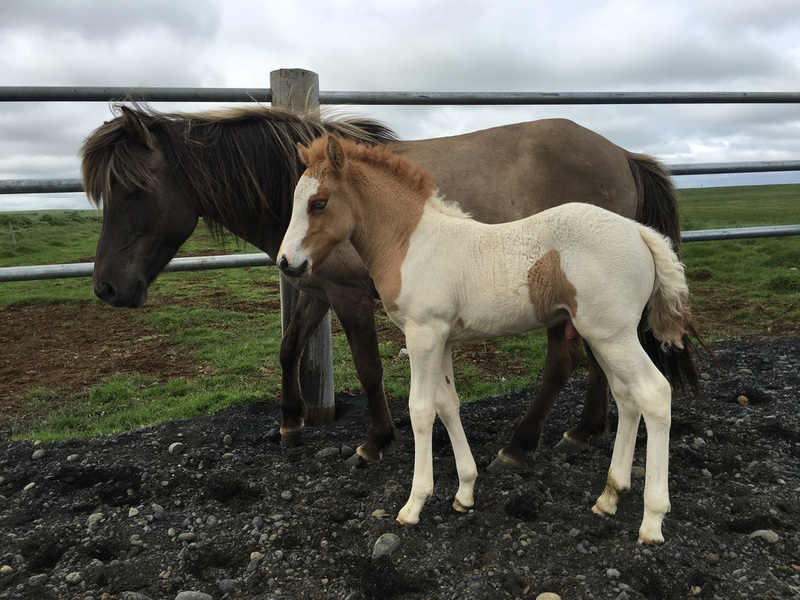 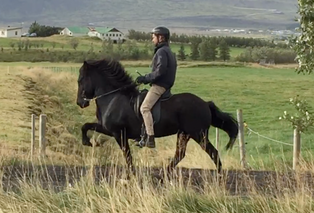 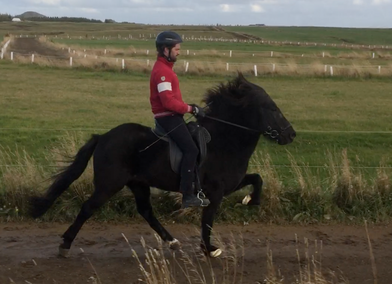 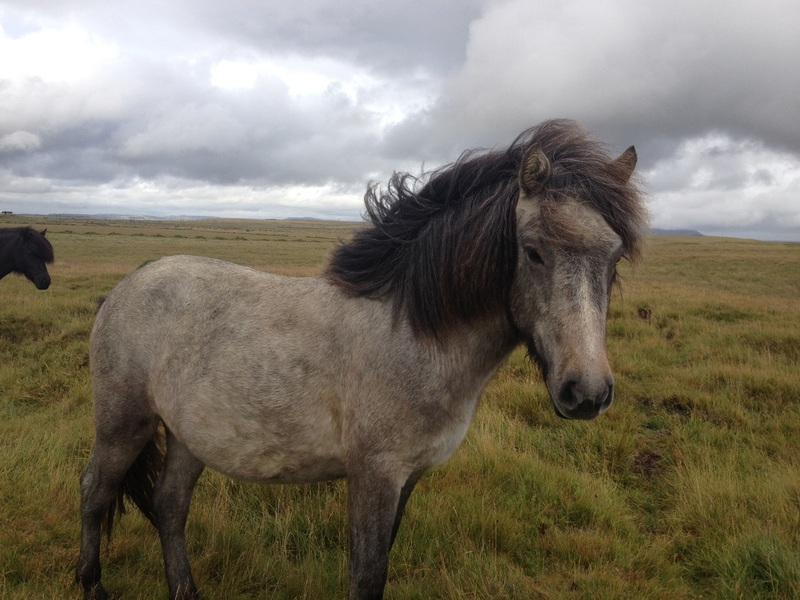 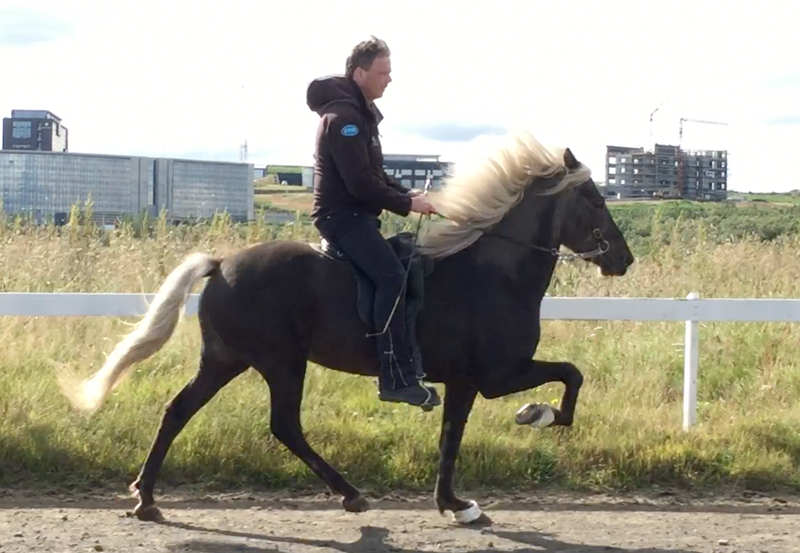 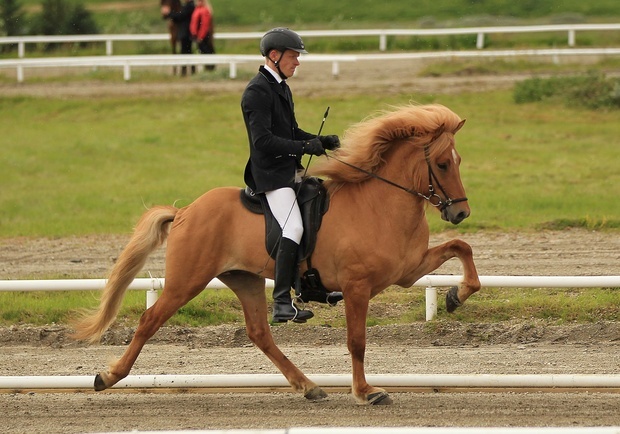 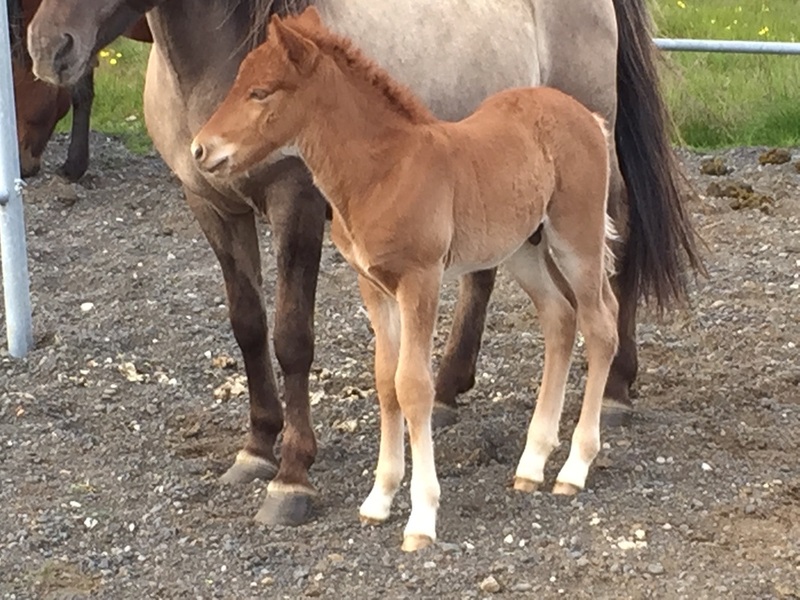 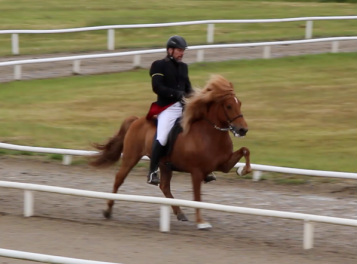 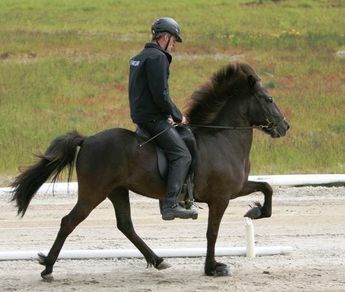 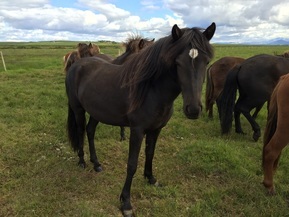 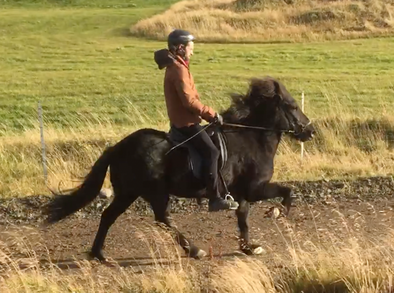 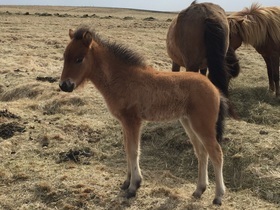 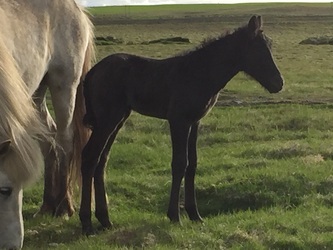 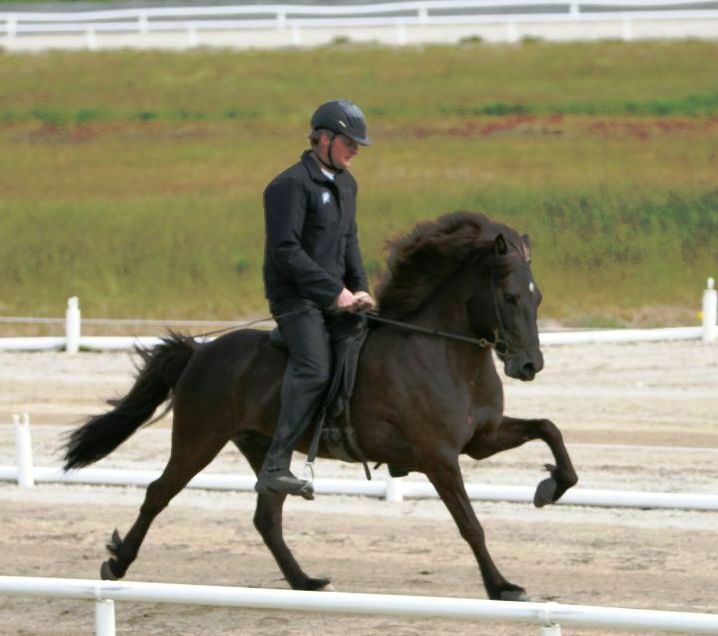 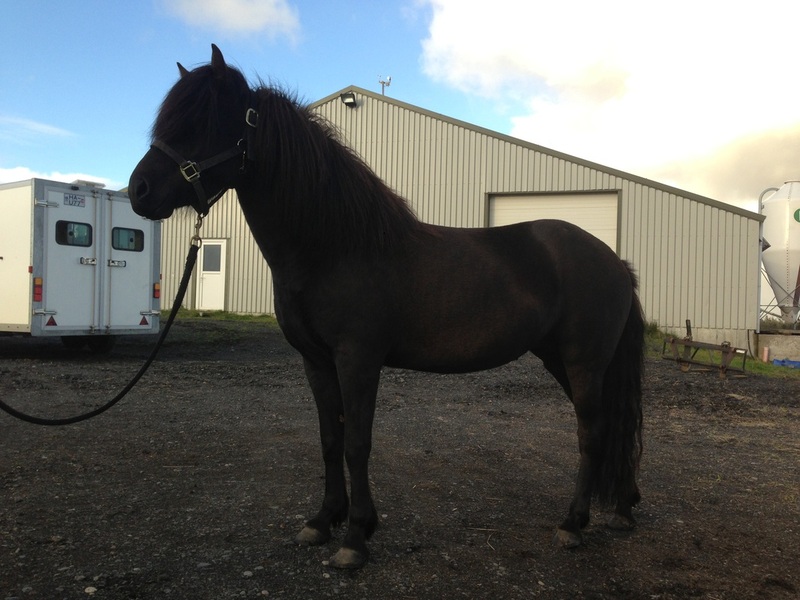 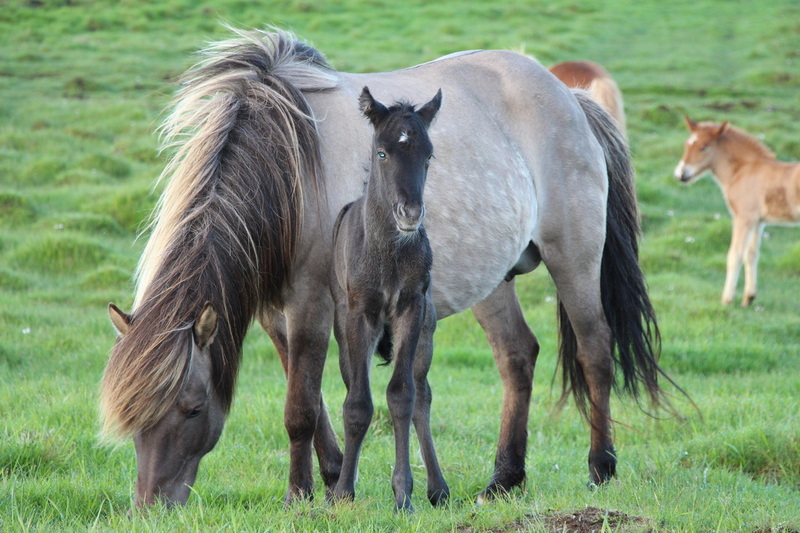 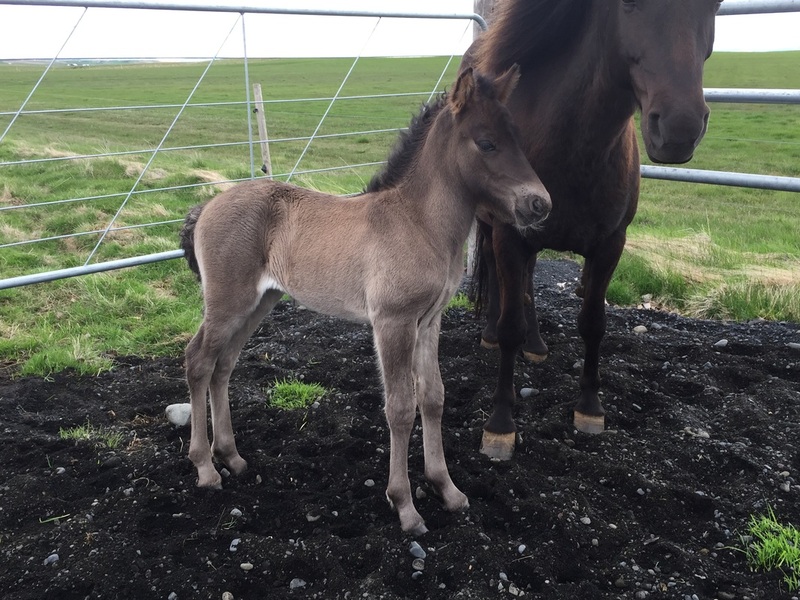 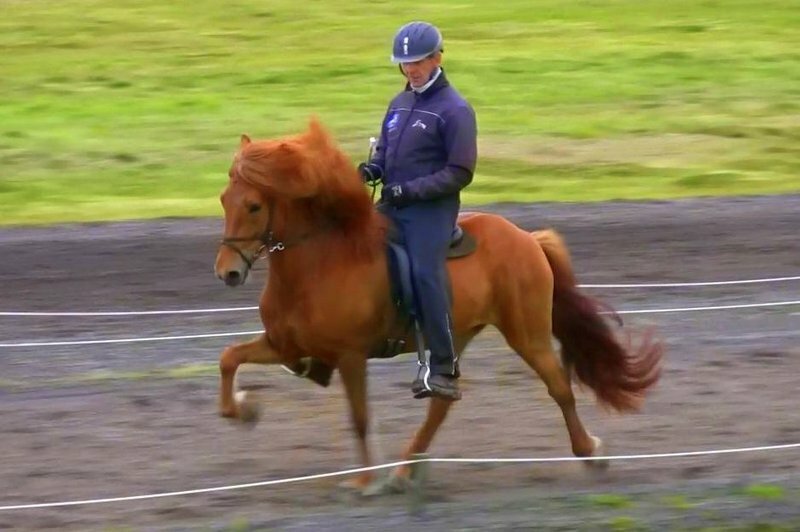 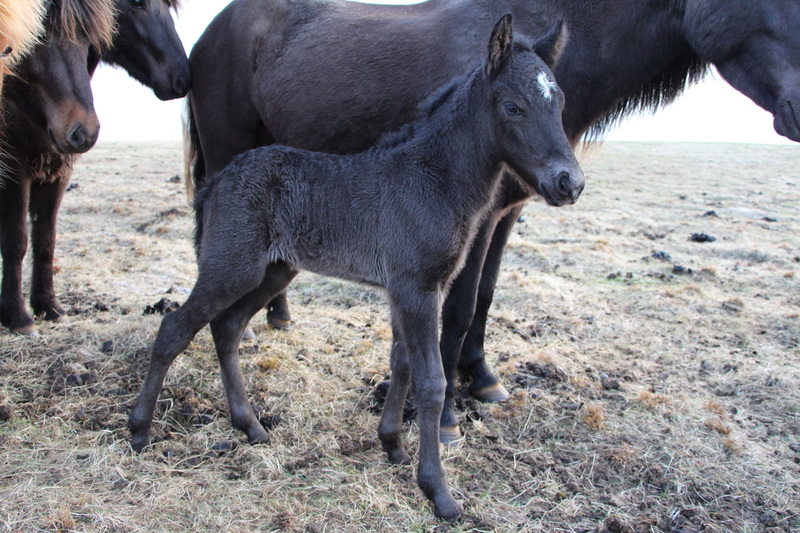 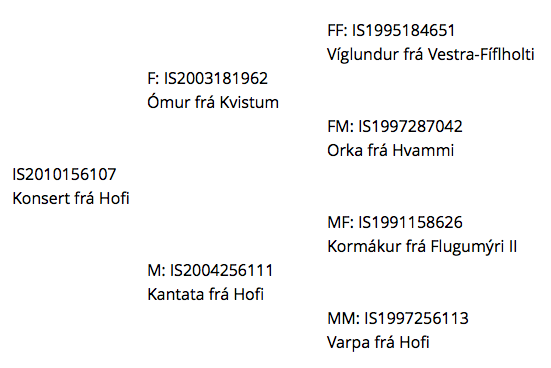 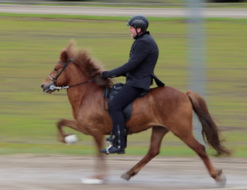 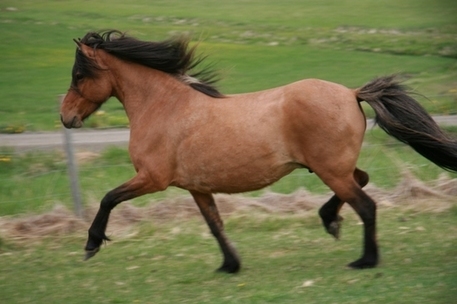 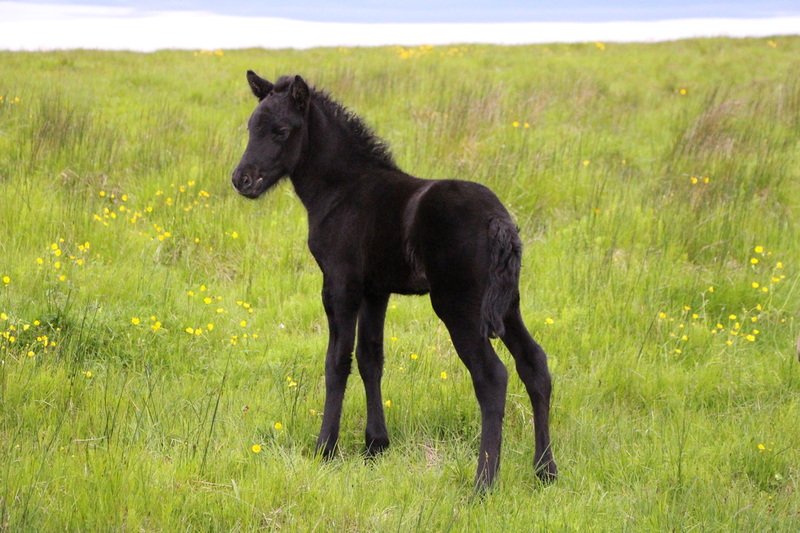 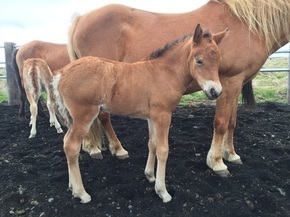 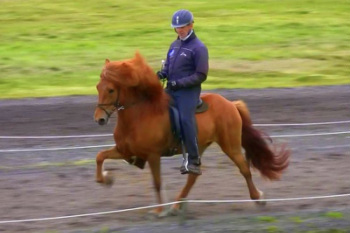 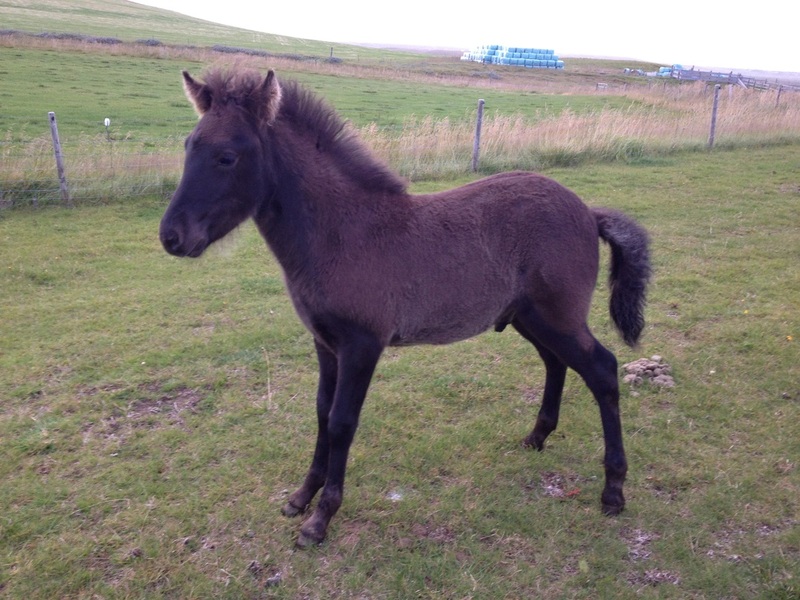 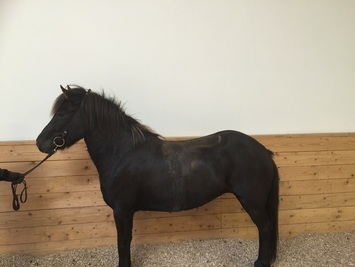 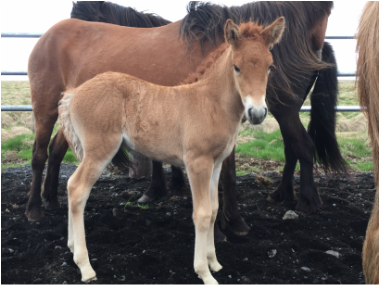 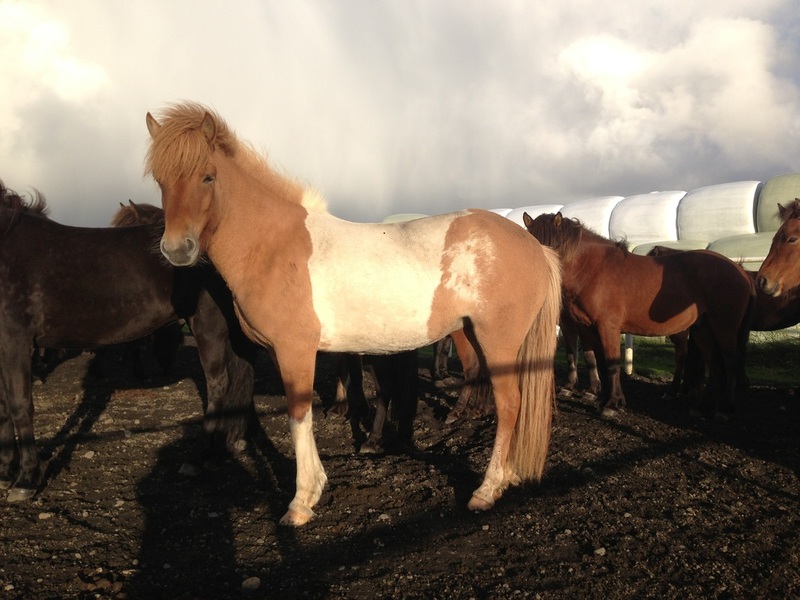 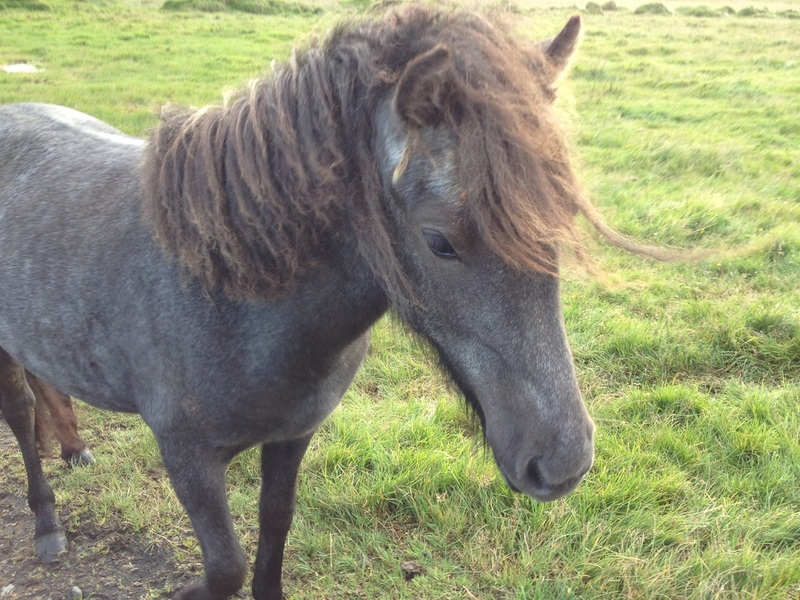 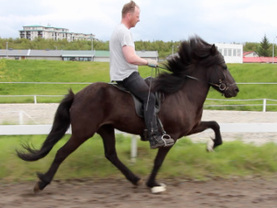 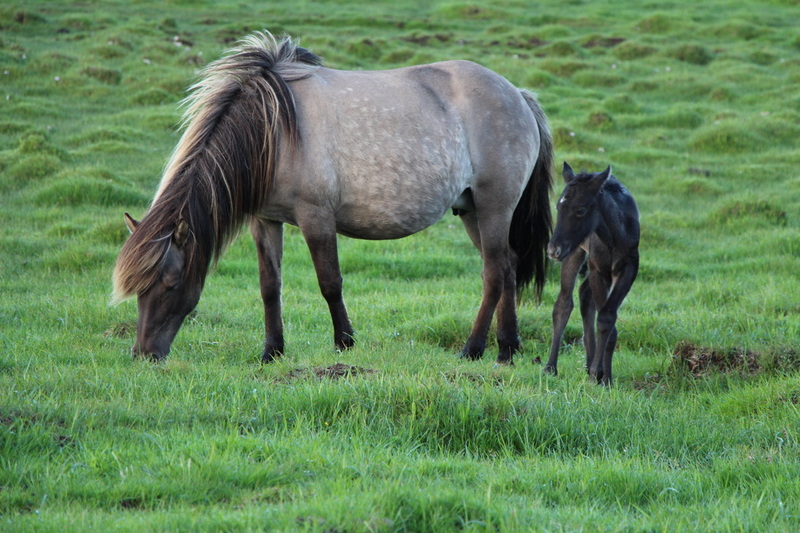 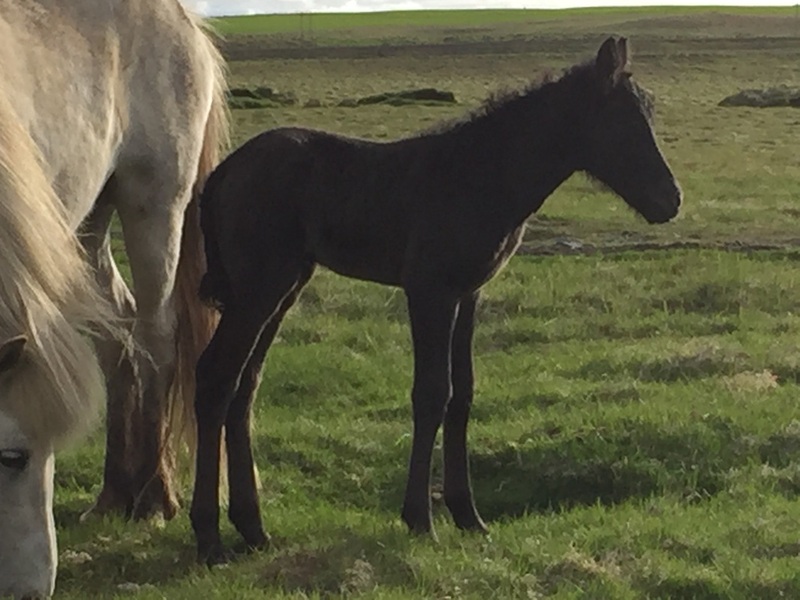 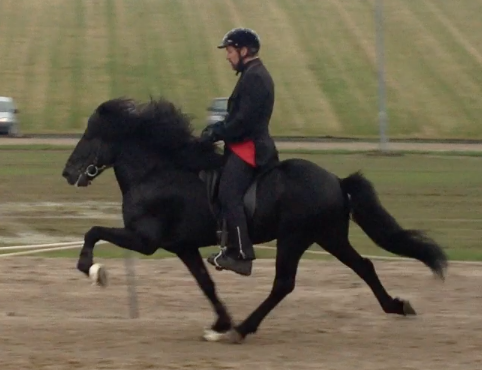 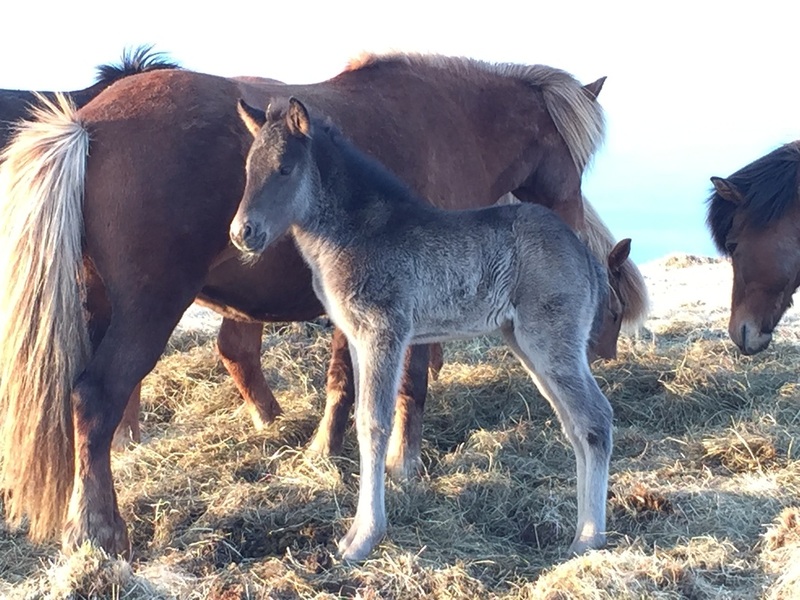 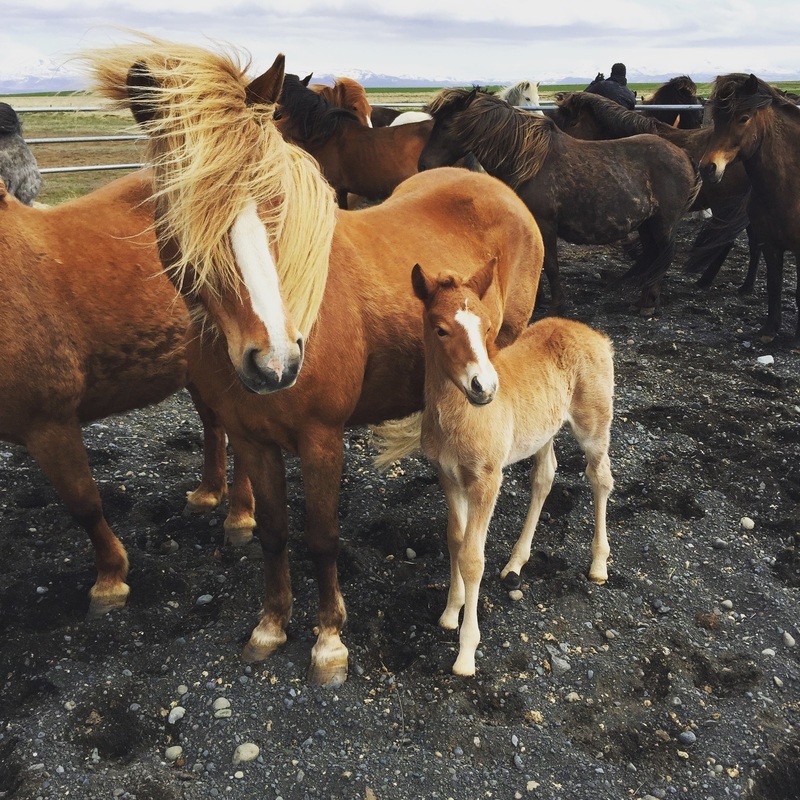 Flóki's Father, the four gaited stallion and son of Orri frá Þúfu, Dynur frá Hvammi (8.47) has 8.32 for Conformation and 8.57 for Riding Abilities; 9.5 for tölt, 9 for trot, 8.5 for gallop, 9.5 for spirit, 9 for general impression and 8 for walk. 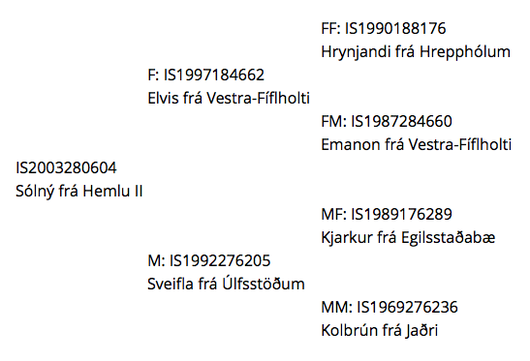 Flóki frá Flekkudal and Kristófer Darri Sigurðsson won the Children's Class Gæðinga at Sprettur Gæðingakeppni 2014 and earned a seat at Landsmót 2014. 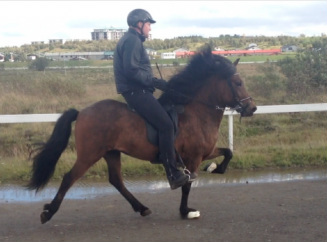 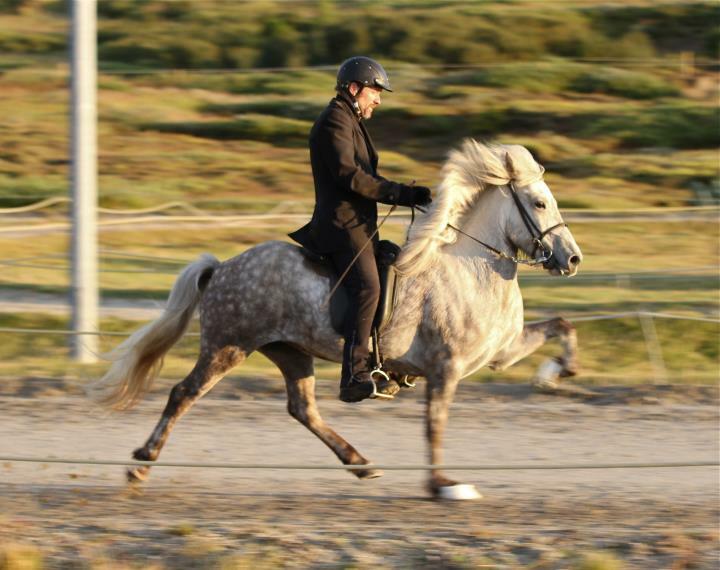 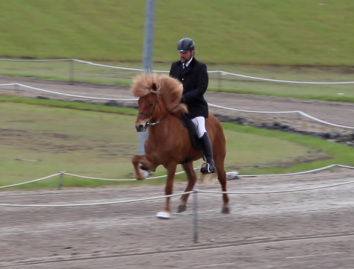 At Fákur Reykjavíkurmeistaramót, Jóhann Ólafsson and Flóki frá Flekkudal came through the B-Final with the score of 6.13 and made it all the way and won the Four Gait, 2nd with the score of 6.37.